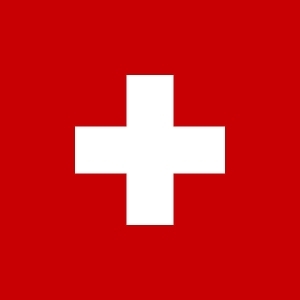 Switzerland is a multilingual federal state made up of four main cultural regions (German-speaking, Romansh-speaking, French-speaking and Italian-speaking). At the Confederation level, the relevant body for education is the Federal Department of Economic Affairs, Education and Research (EAER), which encloses the State Secretariat for Education, Research and Innovation (SERI). Education and culture are mainly the responsibility of the 26 Cantons. Cantons coordinate their work at the national level through a political body: the Swiss Conference of Cantonal Ministers of Education (EDK). The Confederation and the Cantons, constitutionally obliged to cooperate, share responsibility for compulsory and post-compulsory education (upper-secondary and tertiary level). The Swiss University higher education comprises the cantonal universities, the federal institutes of technology, the universities of applied sciences, the universities of teacher education and other recognised institutions such as the Swiss Federal Institute for vocational education and training. The coordination of higher education is assigned to the Swissuniversities conference (Federal Act The Federal Act on the Funding and Coordination of the Higher Education Sector, 2015). Swissuniversities works to strengthen and enhance collaboration among Swiss institutions of higher education and promotes a common voice on educational issues in Switzerland. Furthermore, swissuniversities performs coordination tasks and acts on the international level as the national rectors’ conference for all universities, universities of applied science universities of teacher education. Other university institutions, supported by the federal government are included as well in swissuniversities. Generally speaking, post-compulsory education and training are subject to national regulations (inter-cantonal or federal). Cantonal Universities are subject to national and cantonal regulations. In vocational training the social partners (professional associations and trade unions) play a very important role in the definition of qualifications and professional standards. The Cantons are responsible for implementing regulatory provisions and managing education as well as training institutions located within their territory. The complexity of the system influences of course the state of play as far as recognition and validation of non-formal and informal learning (VNIL) are concerned. The confederation and the cantons work together to enact legislation, fund, manage and supervise tertiary-level education. They are jointly responsible for the coordination and guarantee of quality in higher education. In fulfilling this responsibility, both the confederation and the cantons take into account the autonomy of the higher education institutions. Essentially, validation procedures are integrated, within each education and training sector. Higher education institutions have their own procedures and regulations (see the paragraph below).A common negotiation involving all partners always takes place in the implementation of the validation procedure in the different sectors. As we have already pointed out when describing the historical evolution of validation procedures, these procedures always develop through interaction between third sector initiatives or professional groups, centres of skills audit or of guidance, or schools and governmental projects, at cantonal or regional level and at national level. In Switzerland, a clear distinction should be made between recognition and validation of non-formal and informal learning. Recognition–refers in fact to all initiatives or practices designed to take stock of non-formal and informal learning without issuing a qualification. A further distinction is drawn between personal recognition (enabling the person to improve his/her self-image, to open up new career paths and to develop a plan) and institutional recognition (process whereby an official body – cantonal employment office, VET agency, educational and career guidance office …- certifies that a person has truly acquired certain skills in a specific occupational field). Validation– is undertaken for the specific purpose of obtaining a qualification (normally the upper-secondary level Federal VET Diploma or tertiary-level type B qualifications). Validation of non-formal and informal learning is meant as “an official act that establishes a link between prior learning and qualification requirements. (…) Validation of non-formal and informal learning is carried out under the direct supervision and responsibility of the bodies that issue the qualifications (Confederation, Cantons and professional organizations). In Switzerland, labour market policies are coordinated by the State Secretariat for Economic Affairs (SECO) depending of the Federal Department of Economic Affairs, Education and Research (EAER). The division, Labour Market and Unemployment Insurance, is part of this Secretariat. Different measures are introduced to support the professional qualification and certification. Professionals can enter into an individual procedure of validation of formal and informal experience to get either a full professional diploma or a partial exemption of the programme. Professionals, for example, Otherwise the project INFORMA, for example, is addressed to all the ICT professionals, who don’t have the necessary qualifications or who want to improve their skills, including those who are unemployed. This project is recognized in the field of the labour market measures of Berne and Zurich. It can be implemented thanks to its modular structure, covering all the levels of ICT training in Switzerland, until the UAS level. Moreover, in some cantons and thanks to an important collaboration between the different cantonal authorities it is possible under certain conditions, to activate individual validation projects, recognised as labour market measures by regional employment centres. The Swiss University higher education level is divided into different institutions: the cantonal universities, the federal institutes of technology, the universities of applied sciences, the universities of teacher education, other various specialised institutions, and the Swiss Federal Institute for vocational education and training. The coordination of higher education is now assigned to the Swissuniversities conference, (Federal Act The Federal Act on the Funding and Coordination of the Higher Education Sector, 2015), Swissuniversities works to strengthen and enhance collaboration among Swiss institutions of higher education and promotes a common voice on educational issues in Switzerland. Furthermore, Swissuniversities performs coordination tasks and acts on the international level as the national rectors’ conference for all universities, universities of applied science and universities of teacher education in Switzerland. The Qualifications Framework of the Swiss Higher Education Area (nqf.ch-HS) describes and defines higher education levels and qualifications in Switzerland on the basis of the following elements: generic descriptors, admission criteria, ECTS credits, academic degrees. The nqf.ch-HS is included in the Bologna process. ; It serves as an orientation tool for the higher education institutions to develop and describe their study courses and programmes; It improves the information about the Swiss higher education system, particularly with regard to teaching; and it facilitates the comparability of qualifications within Europe and enhances transparency. Depending on their own regulations, admission procedures and specific requirements, some cantonal Universities, Federal Institute and Applied Universities have deployed their own specific measures to facilitate access to undergraduate programmes (on dossier) and to continuing education programmes dedicated to professionals (Certificate of Advanced Studies, Diploma of Advanced Studies and Master of Advanced Studies) for non-holders of the prerequisite upper secondary diploma. The University of Geneva, the University of Lausanne and the Applied University of West Switzerland have created the French-speaking network of validation of formal and informal learning (bachelor and master degree). Another example is the University of teacher education of the canton of Vaud. Each institution has its own regulation, procedure and requirements. Candidates don’t obtain a whole diploma but partial exemption of the programme. It is possible to obtain a partial exemption from the studies by recognition of ECTS credits in a specific programme. The mobility inside the institution or through institutions is defined by regulations (i.e. bachelor of Applied Studies versus cantonal bachelor of University and vice versa). Students can obtain a certain number of ECTS credits (partial exemption of course) and/or be admitted in an upper degree. Essentially, validation procedures are integrated within each education and training sector and in the higher education field. Currently, only the upper-secondary level of VET has a specific financing system for validation. In the other contexts and levels of education, funding for validation is almost always integrated within the overall budget. The funding of the validation practices in IVET is connected to the general funding framework. According to Article 53 of VPETA, the “other qualification procedures” are included in the federal flat rate that the cantons receive. This means that the validation procedures are funded with the same budget as apprenticeships for young people. Given that the validation procedure can be followed by an individual in a canton different from his/her canton of residence, the Swiss Conference of VET/PE agencies give indications on inter-cantonal financing methods. Specifically, a person can follow validation procedures outside his/her canton of residence, whenever that canton does not offer a validation procedure for the selected profession, or when there are a limited number of people for the procedure (CSFP/SBBK, 2007a). For the validation at University, candidates must pay fees. Validation is included within the overall budget of the institution.